The Moon, what is the truth? Any normal person that does the least bit of research regarding the moon is blown away with 'facts' that simply do not fit our laws of physics. It has been established beyond all reasonable doubt that the Moon is not what it appears; that it is not just another satellite orbiting a planet, Earth, but an entity which has thrown the minds of some of the greatest thinkers and scientific brains into a quandary and bewilderment unprecedented in the history of astronomy. Why haven't you heard about this? Another government cover-up? How could Moon mysteries have anything to do with government secrecy, and moreover could it relate to the suppression of the space program? Let us outline some of the extraordinary anomalies and mysteries surrounding this puzzle. Clearly not all data will be equally reliable but the abundance of interrelated information nevertheless gives an overall picture which can be determined with some certainty. The first academic enigma must surely be that the Moon is apparently in its wrong orbit for its size. However, this would presumably be based on its assumed density. Technical reports claim a density of 3.3 for the Moon compared with 5.5 for Earth. 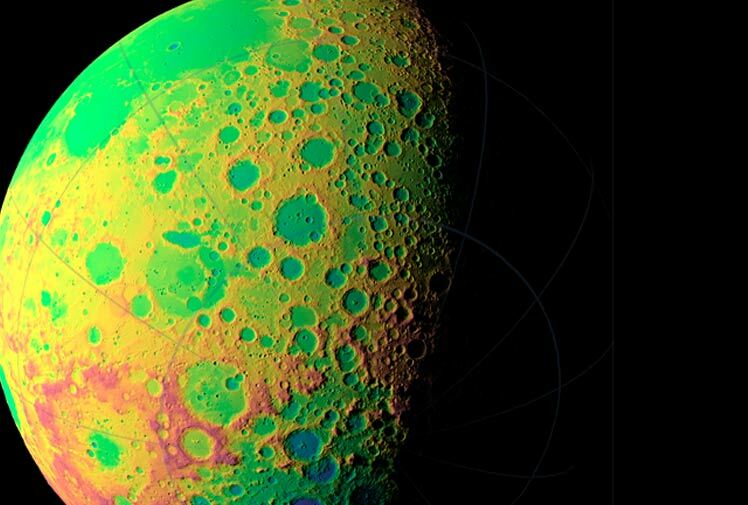 Astronomy data indicates that the internal regions of the Moon are less dense than the outer, giving rise to the inevitable but outrageous speculation that it could be hollow. 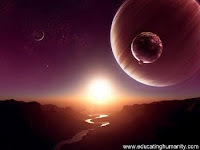 The eminent scientist Carl Sagan, a typical skeptic made the statement, 'A natural satellite cannot be a hollow object'. But meaning here that if it is hollow, it is not a natural satellite---and therefore artificial. In 1968 as Apollo 8 moved into orbit around the Moon, the astronauts spotted a colossal extraterrestrial object, which then had disappeared on the next orbit. Photographs were taken, of course, but not released to the public. On another occasion when the lunar excursion module was down to 4-5 miles from the Moon's surface astronauts witnessed a UFO suddenly rise from a crater and rapidly disappear. In 1969 Aldrin was checking the lunar surface from orbit, when two UFOs appeared, moved towards the Apollo rocket, hovered nearby, then to Aldrin's utter astonishment the UFOs joined to form one entity. 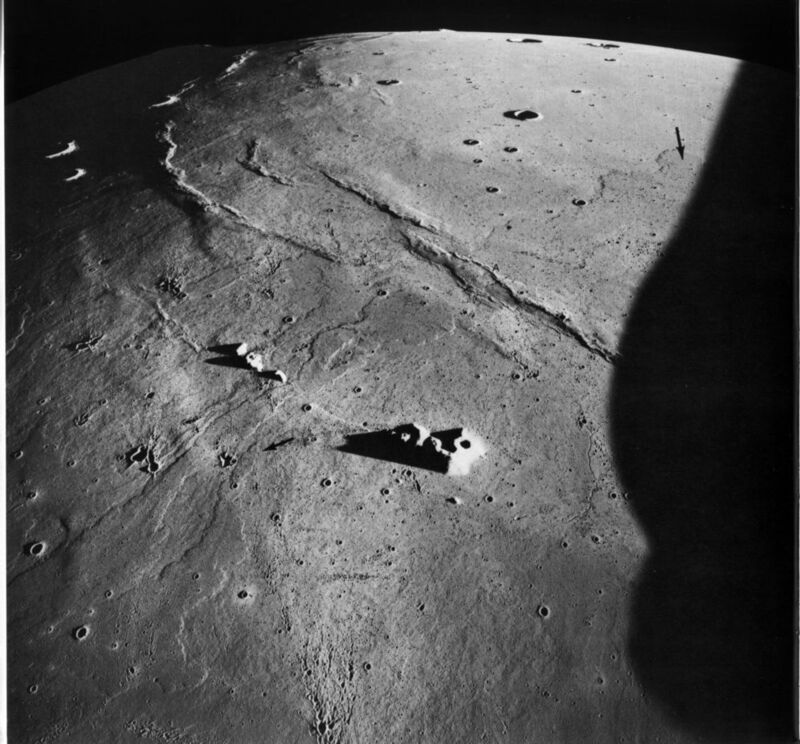 Furthermore, astronauts of Apollo 11 saw a space fleet of UFOs lined up in a crater. Almost every Moon mission involved encounters with UFOs or UFO sightings, not to mention the discovery of many bases on the Moon's surface. Renowned astronomer Patrick Moore discovered over one hundred dome-like buildings. In fact, about one thousand such bases, dome-like structures of diameter around 700 feet, have been witnessed. Astronomy records extending back 200 years indicate no such artifacts until about the 1950s, (remember the book Alternative III?). Many of the UFO encounters by the astronauts were stated to be of a positive nature in which unobtrusive assistance was given. Moreover, these structural anomalies were supported by two publications, one Time Magazine, which unwittingly revealed the gravity value of the Moon relative to Earth by publishing the distance from Earth to Moon of the null point between them, indicating a gravitational force some 60 -70 % of Earth. Furthermore, some people noticed the feeble plumage of the rocket exhaust as the module rose from the Moon's surface---explained away by NASA as due to the vacuum. But what about some of the telltale and suspicious features observed during the first Armstrong and Aldrin Moon landing. The American flag was seen briefly to wave in ... a breeze? But we are told there is no air on the Moon. The flag was then starched. Also we saw dust kicked up by the astronauts clearly drifting in . . . what? Dust particles do not drift in vacuum---they cling together. And what about the feeble leaps of the astronauts off the Moon's surface---were their spacesuits and backpacks really so heavy? 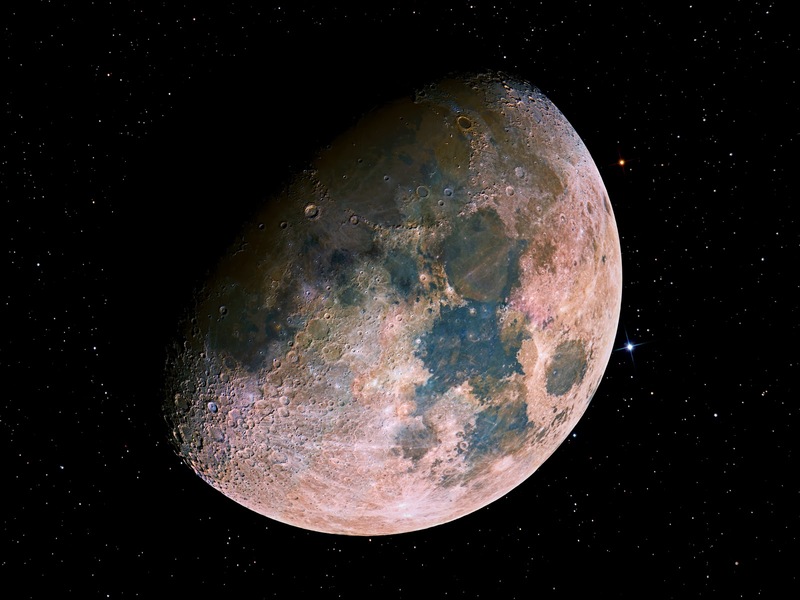 The Moon is supposed to be about one-sixth the gravity of Earth. Thus we now know that air is present, and the feeble rocket exhaust could not be due to a vacuum. Moreover, the exhaust was apparently too weak to account for the necessary power to escape from such a gravitational pull in relationship to the size of the module, which was not large enough to contain the necessary fuel to escape the Moon's high gravity. Was anti-gravity propulsion secretly being used as a booster? The covert government have long since sent 'astronauts' into outer space in anti-gravity spacecrafts. They apparently had the so-called cosmospheres about 40 years ago, some larger than the old and massive dirigibles. They seized the anti-gravity research data from the Nazis, and have since then reverse-engineered captured spacecrafts and negotiated deals with aliens involving anti-gravity technologies. The more thorough have been the investigations of the Moon the more bizarre the results have been. Probably one of the most startling was that moon-quakes occurred like clockwork. Moreover, the fluctuations on each occasion were the same. This is impossible for natural conditions which always obey fractal distributions. Furthermore, a study of rock samples reveal an age of 5.3 billion years, and that not only is the Moon older than the Earth, estimated to be about 4.6 billion years, but that it is older than the solar system (and by theoretical standards as old as the universe). What about the surface of the Moon? Several television viewers wrote explaining that they spotted one of the astronauts pick up what appeared to be a glass bottle and remark, 'My God, I don't believe it, look at this . .. ' Then the television screen went blank. Other viewers observed the extreme difficulty astronauts had when drilling down a few inches into the Moon's marias and that when the drill bit was pulled out, metal shavings were visible. Rocks were found to contain brass, mica, titanium, and elements uranium 236 and Neptunium 237 not previously found in nature. Astronomy literature reports the sighting of a 12-mile bridge-like structure over the Sea of Crisis in 1954 by John O'Neile, and in the 1950s, astronomer Jessup, realized that UFOs had bases on the Moon (and so does the government of course). Other strange lunar phenomena are: the observation by Dr. Frank Harris of a black body on the surface, 250 miles long and 50 miles wide; clouds and lightning; strange moving shadows and objects, and spire-like structures thousands of feet high; a huge boulder with tracks (behind it) from inside a crater to the rim (uphill); the shrinking, over a period of time, of the crater Luna from six miles in diameter to one and a half miles; 'hill' effects in craters appearing and disappearing in a few hours; over 800 substantial observations made by scientists of blinking and flashing lights; the results of NASA photographs of the lunar surface, indicating several large pyramid structures, strange rifts in the surface with entrances, massive girders, machinery and some 1000 kilometer blocks of metal, tears in the surface, revealing massive interior 'plumbing', huge crosses a mile long, and enormous excavating equipment. 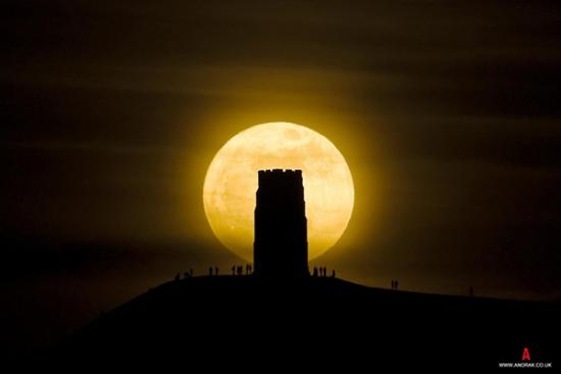 Professional astronomers have gradually been discouraged from investigating these observations, referred to as Transient Lunar Phenomena, and all such Fortean observations are now only of interest to the amateur. Our satellite has long since been established as being extremely dry but this information has been contradicted by the appearance of clouds on the surface. On one occasion a cloud of water vapour appeared covering more than 100 square miles. And it has been reported that strange clouds appear at lightning speed. The capture theory that the Moon was pulled into its orbit by the Earth was once favored but the circular orbit of the Moon invalidated it. As already mentioned the Moon is the wrong size and in the wrong orbit. It is too big and too far out. It does not rotate relative to Earth; the same side always faces the Earth. And what about the amazing 'coincidence' of the eclipse phenomenon. The position and size of the Moon is precisely that necessary to eclipse the Sun's disc. 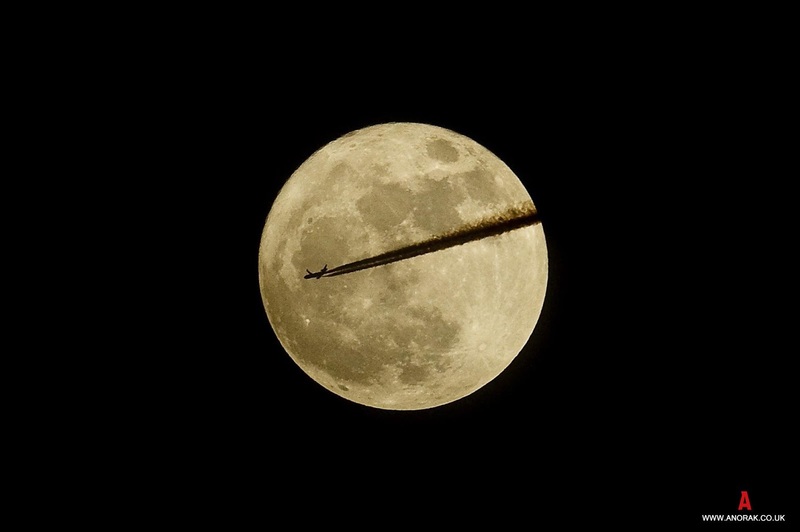 Scientific experts, including NASA investigators believe that the Moon is hollow---it is the only explanation. The velocity of sound has been found to increase with depth and at 40 miles it is too fast for the speed of propagation through rock substance. 'Spaceship Moon' is the brainchild of the two Soviet researchers but many others agree with the theory, including NASA scientists at JPL and an Oxford University physicist. The capture theory is now back in favor but with a significant adjustment that the Moon was steered into orbit. It might be worth a comment on the recent 'conspiracy theory' that astronauts never actually went to the Moon. DVDs and television programs have proffered that, in particular, photographs allegedly taken on the Moon were faked. In fact one can see clearly in the photographs that the shadows of objects on the Moon were not parallel as they would be if the shadows were cast by the Sun, rather than by studio lighting. Further evidence has been given. But we may know from earlier suspicions that NASA has a propensity for faking scenes---for example, the view of the interior of the shuttle faking an outer-space mission when actually on the ground. Thus the conclusion, and personal opinion of the author, is that both scenarios are correct: astronauts did land on the Moon, and NASA has produced faked photographs. 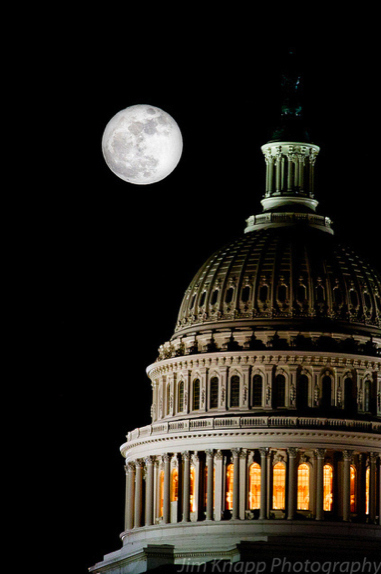 Was the space program cut because further encounters with UFOs might blow the government cover-up? 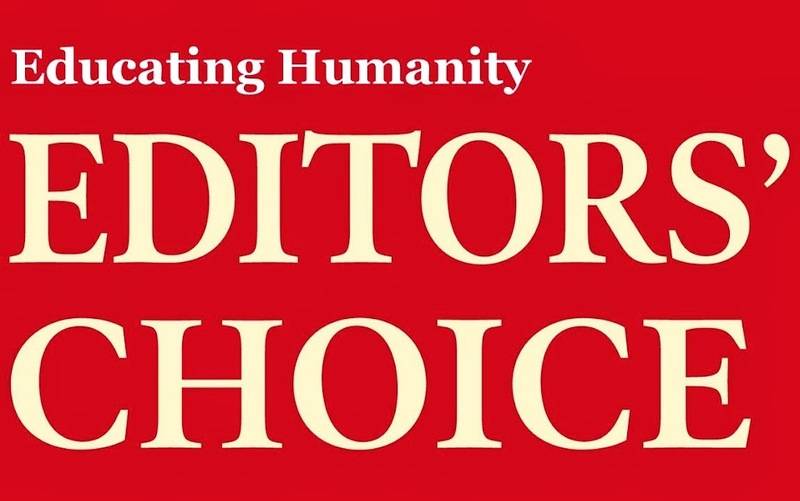 Even more important than this, allowing the public to increase their confront and interest in the subject of extraterrestrials would eventually lead to a worldwide awakening of the human race's true heritage, the causes of our downfall, the falsification of our history, and ultimately the disclosure and eradication of the control mechanism. We see that the Moon mysteries are intimately bound up with extraterrestrial sightings and involvement, in particular, the conclusion of the two Russian scientists that the Moon is artificial and hollow. Is this a favorable omen for the human race or a harbinger of something more ominous. Why was the Moon directed to retain continuously a dark side? A side of the Moon we never see. Also police records referring to increased crime during the full Moon are commonplace. A study of ET material of which literature today abounds, strongly indicates that the nature of the Moon has a sinister purpose and plays a role in manipulating man's evolution. In fact, if we include relevant data from extraterrestrial material transmitted by Ashayana Deane (see other articles for more information on this source) taken from a now vast body of advanced scientific knowledge about the universe, life and man's downfall, it is made clear that the Moon is another of the many components of the Beast machine (see Cosmic Map article), and does indeed play a sinister role. The natural matter of the Moon came from a very large planet, Maldek (or Marduk), which orbited our Sun thousands of years ago between Mars and Jupiter. It was inhabited by a thriving civilization which degenerated to such a degree that the planet was destroyed. The asteroid belt is a product of the many fragments; also Wormwood (Bible), referred to as Battlestar Wormwood by ETs (see Planet X article). We can tentatively assume now that the Moon consists of a metallic framework which has been packed by pieces from Maldek, forming the spherical shape but is essentially hollow. Similarly for Wormwood. Thus the Moon contains energies and coding (frequency patterns) supporting the original ET agenda for assimilation of our planetary system and in fact the whole time matrix. Further programs emanate from the moon, such as one to cause unnatural hormonal/menstrual cycles in women to produce more children---thus losing control over when to have children. 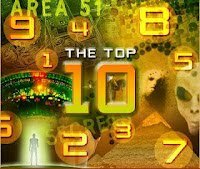 The purpose being to keep a plentiful stock of DNA for their genetic experiments (the human DNA, that is, its original template is valuable to these spiritually-fallen ETs). In fact, not only does the Moon affect the tides of Earth but the blood in living organisms. A separate source of information (channeling) refers to the Moon as being an electromagnetic computer which can be programmed intelligently, such as to influence the feminine cycle (as also mentioned above in the Deane material), and has been transmitting signals to maintain our DNA for eons.